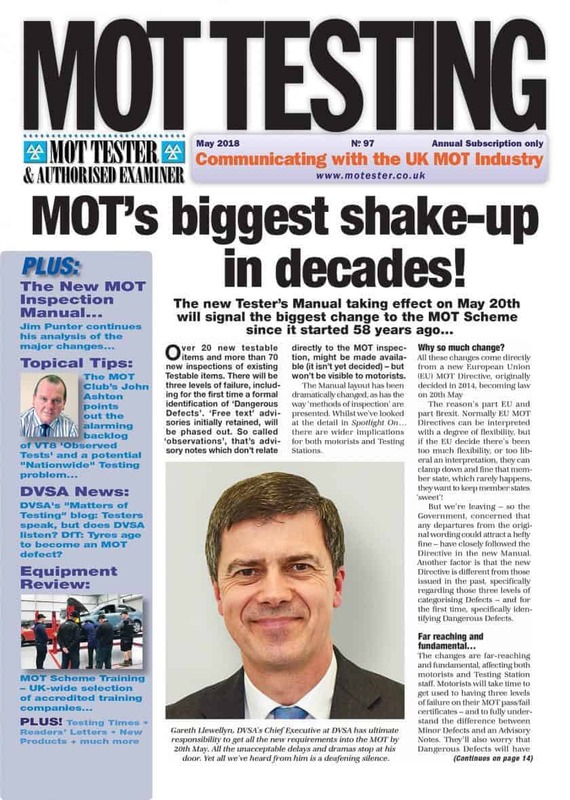 This is a sample issue of MOT Testing Magazine – viewable as a PDF online. 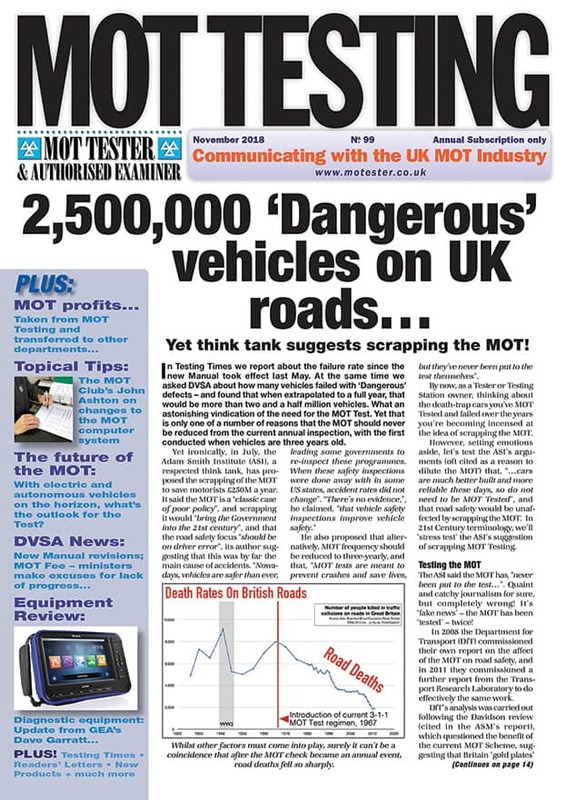 The PDF at the foot this page shows partial pages of MOT Testing Magazine. 22. DVSA and DfT News – Latest news from the DVSA – DVSA appear to think that the best way to find out what the trade thinks about its plans is to keep them secret, judging by their rules covering trade user group meetings. However, we’re spilling the beans, so our readers can judge. 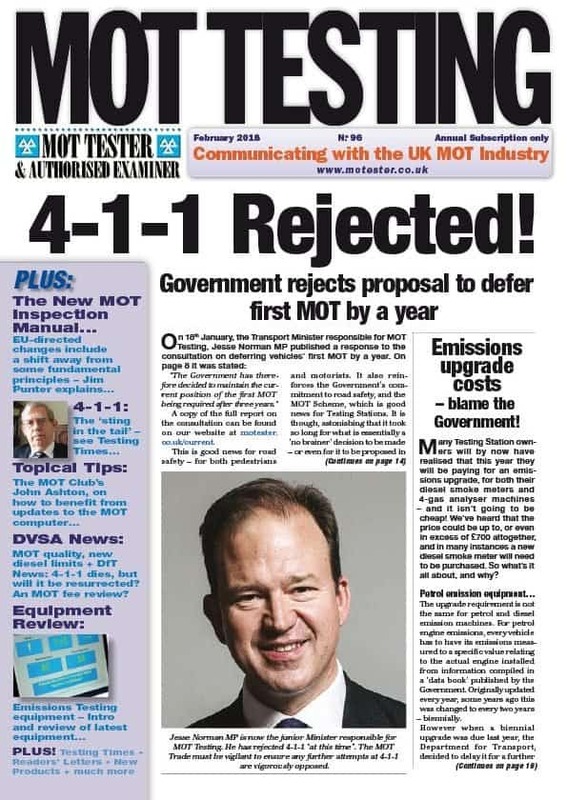 DfT news: again, ministers fail to act or keep their word on the MOT fee. 24. 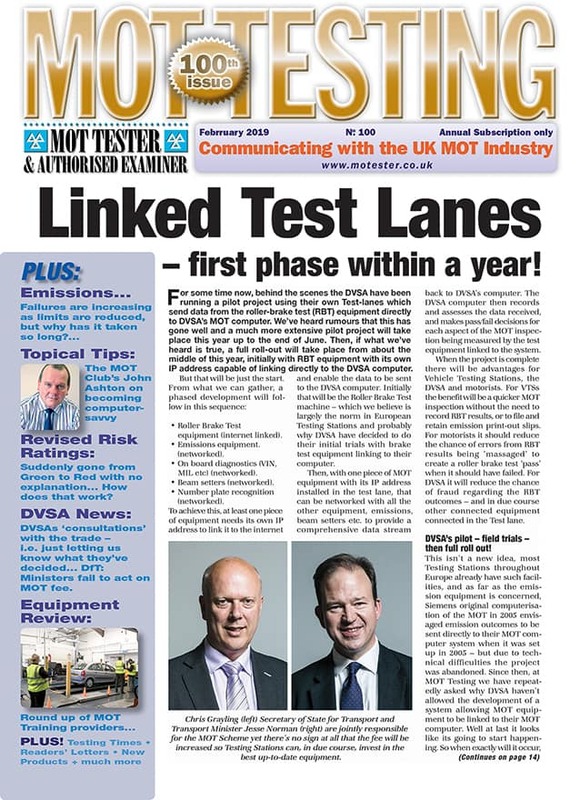 Product Review: – MOT Training Providers – Yet more about newly qualified Tester qualifying experience. Followed by a round up of Training companies.